Welcome home. This fully updated, modernistic estate blends seamlessly with today's lifestyle. 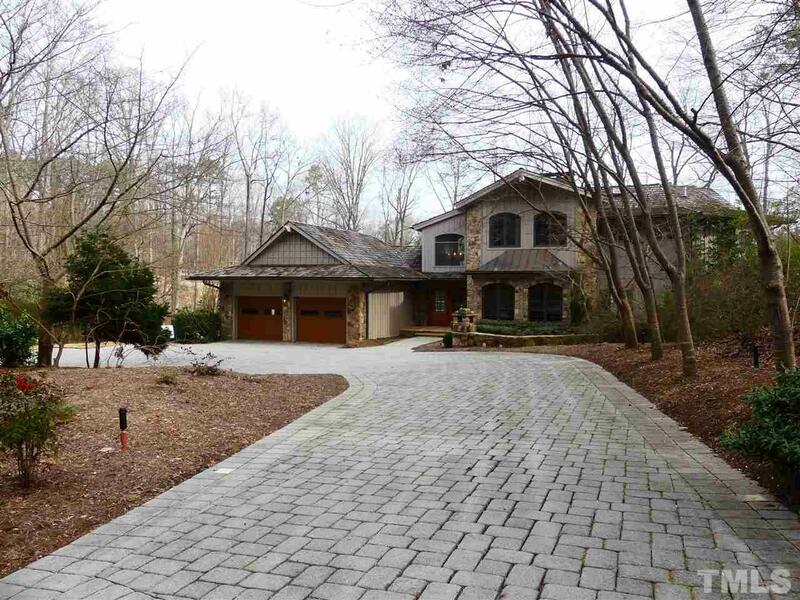 Golf course home by Atlanta architect C. Frank Birdsong. True gourmet kitchen w/cherry cabs, top of the line appliances, custom tile & hardwood floors & wet bar w/wine fridge. Three hand-cut stone fireplaces. Master suite w/sitting room & sauna. Private heated infinity pool, gazebo & extensive decking for entertaining. MacGregor Downs golf community, with easy access to Triangle amenities.